A whole new material world. Cricut Maker quickly and accurately cuts hundreds of materials, from the most delicate paper and fabric to the tough stuff like matboard, leather, and balsa wood. Now your creative potential is exponential. Cricut Maker quickly and accurately cuts hundreds of materials, from the most delicate fabric and paper to the tough stuff like matboard, leather, and balsa wood. Now your creative potential is exponential. 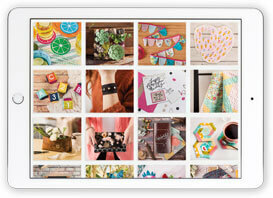 Choose from a wide variety of sewing patterns and quilt blocks, including hundreds from Simplicity® and Riley Blake™. Cricut Maker cuts and marks all your pieces in just a few clicks. With its revolutionary toolset, Cricut Maker cuts, writes, and scores more materials – with greater precision and control – than ever before. 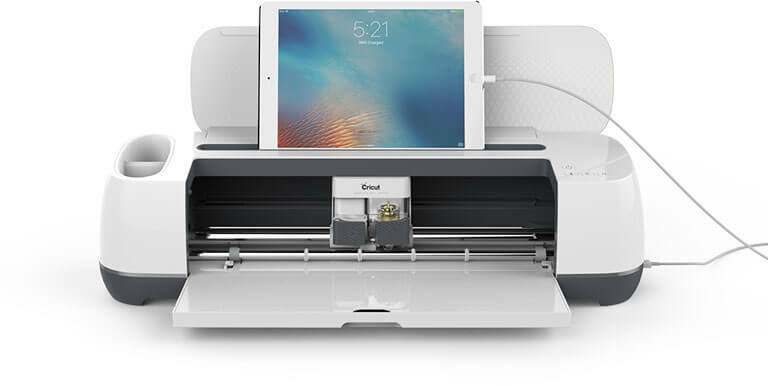 Plus, with more tools coming, Cricut Maker grows with you as you master each new craft. Maximum cut depth and cut radius varies depending on the material. crisp, and to the point. Double Scoring Wheel tip also available. Sold separately. Our most versatile machine comes in 4 sophisticated colors. Cricut Maker is full of thoughtful touches to make your DIY experience easier. Extra built-in storage keeps your tools organized and within reach. A helpful docking slot holds your tablet or smartphone. And the convenient USB port lets you charge your device in a flash. Cuts the most materials. 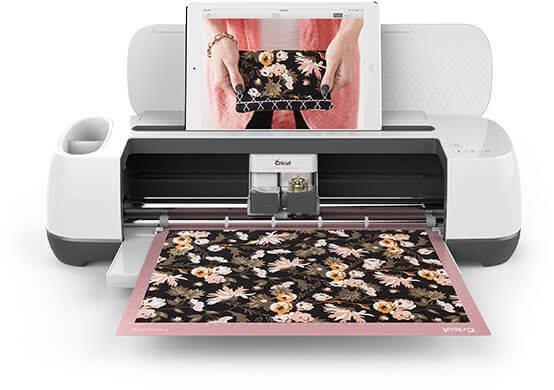 Cricut Maker cuts hundreds of materials quickly and accurately, from the most delicate paper and fabric to matboard and leather. Knife Blade1. This extra-deep blade works like an X-ACTO knife to slice through heavier materials like 2.4 mm (3/32”) balsa wood and matboard with ease. Scoring Wheel and Double Scoring Wheel1. Uniquely powerful scoring tools that deliver razor-sharp, extra-deep score lines in a huge variety of materials. Washable fabric pen1. Automatically mark your pattern pieces so you’ll always know how they fit together. Digital sewing pattern library. 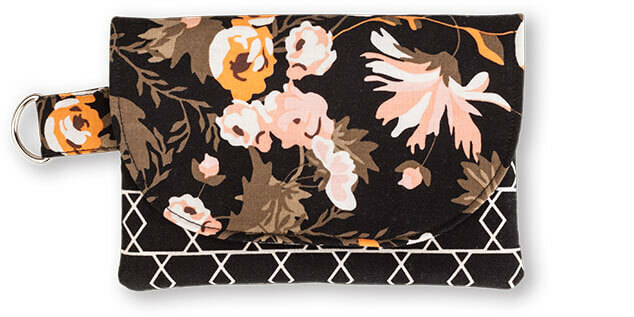 Access hundreds of patterns from brands like Simplicity® and Riley Blake®. Pick a project, and the machine cuts all the pieces you need. 50 ready-to-make projects. Includes 25 digital sewing patterns plus more projects that demonstrate what Cricut Maker can do. 2Fast Mode works with popular crafting materials including vinyl, iron-on, and cardstock. 2Fast Mode works with popular materials including vinyl, iron-on, and cardstock. Cricut Maker is now available.